Yoga Warriors Unite - Build & Succeed in Yoga & Life - Yoga Warrior Crate opens a totally unique and inspirational way to bring intention to your practice. We all need to bring a little extra inspiration and creativity to our yoga practice to keep it fresh, empowering, and fun. The Yoga Warrior Crate helps you bring that extra inspiration to your yoga practice. 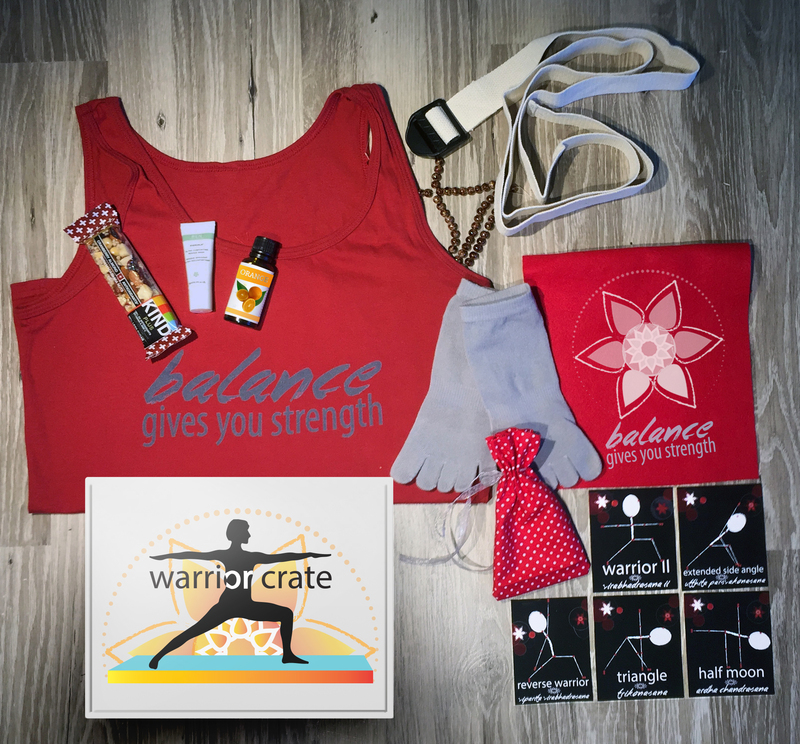 The Yoga Warrior Crate is a monthly subscription box that contains a variety of yoga items. Each of the monthly crates are designed around a theme for the month. Some examples of these themes are BALANCE, BEAUTY, COMPASSION, and NO FEAR. Each month, subscribers to the crate will receive unique items to help focus and empower their practice. Yoga is an amazing workout, a way to fight depression and injuries, and a perfect way to join a community of people that care. Copyright 2018 Yoga Warrior Gear all rights reserved.